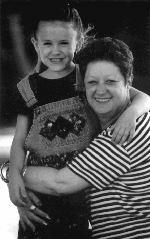 The plaintiff in Roe v. Wade, which struck down pro-life laws and made abortion legal in every state, was Norma McCorvey. Though initially the icon for abortion advocates, she became pro-life in 1995. 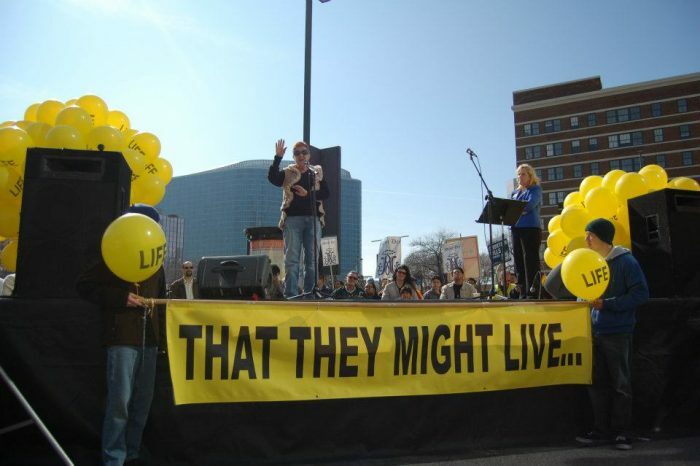 McCorvey remained active in the pro-life movement until her death on February 8, 2017. In the early 1970s, McCorvey was pregnant and trying to find an illegal abortionist. Unable to do so, she went to a lawyer to arrange an adoption for her baby. The lawyer, however, was an acquaintance of attorney and pro-abortion activist Sarah Weddington. This acquaintance knew Weddington was looking for a plaintiff to challenge pro-life laws before the Supreme Court and referred McCorvey to her. When McCorvey met Weddington in 1971, abortion was legal in only a few states. Weddington wanted to change that, and she used McCorvey to make Roe v. Wade a reality. McCorvey claimed that she had been raped. This claim garnered public sympathy, especially as her lawyers pushed the narrative, but McCorvey admitted years later that it was a lie. McCorvey had never wanted to be the plaintiff in Roe; she simply wanted Weddington to help her get an illegal abortion. And Weddington did know where Norma could get such an abortion, because Weddington herself had her own illegal abortion a few years prior. But Weddington needed McCorvey to stay pregnant for Roe v. Wade. McCorvey was, thankfully, spared the trauma of abortion. Her baby, a daughter, was born while the case was still being argued. McCorvey placed her child for adoption. I sat in the dining room that night and just kept rereading the newspaper story and drinking – drinking and thinking. It made me sad to know that my name, even though it was a pseudonym, would always be connected to the death of children. McCorvey got a razor and started cutting her wrists. McCorvey would later come to realize that her own death would just be one more tragedy to add onto the children’s deaths. Years later, she would understand that death was not the real answer to anything. I cringed. The girl noticed it, but my act was involuntary. I wasn’t trying to be cruel, but even back then I knew getting an abortion was not like getting a haircut. I could understand a woman making one mistake. I could even understand the woman making the same mistake twice. But half-dozen times? I’m sorry. I didn’t have any patience for that. I started working at the A to Z clinic in January 1995, and it was a health disaster waiting to happen. … Light fixtures hung out of the ceiling; falling plaster dusted everyone who walked by…. We fought an ongoing, and losing, battle with the rat population…. Every morning we found rat droppings all over the clinic. Sinks were backed up — in a reputed medical clinic no less — and blood splatters stained the walls. I began to make enemies right away, thinking that women should at least get a fighting chance to understand what they were doing. I remember one afternoon in particular. A woman came up to the desk and said, “I am so terribly nervous, I can’t fill out this form. One of the clinic workers sitting behind me began loudly clearing her throat, then said, “Norma. Norma.” I kept talking. I wasn’t about to be stopped. I was just getting started. “Hasn’t anyone explained to you what’s going to happen?” I asked the client. I wasn’t surprised. “Let me explain something to you, girlfriend.” I took her outside, ignoring the exclamations of disgust behind me, and explained the procedure, step by step. The girl’s face became so white I thought she was going to faint. She was horrified. I was not always cooperative. For example, both Connie [another worker] and I refused to reassemble the body parts after a late-term abortion. It was bad enough having to seal the bags that held them, but there was no way I was going to treat those bodies like grotesque jigsaw puzzles. While these things were going on, a pro-life organization purchased the building next door to the abortion facility. McCorvey and the other workers were very upset to find out that the pro-lifers would be their new neighbors. At first McCorvey fought with the pro-lifers, but some of them reached out to her with compassion. She became friends with one pro-life woman and her seven-year-old daughter, Emily. 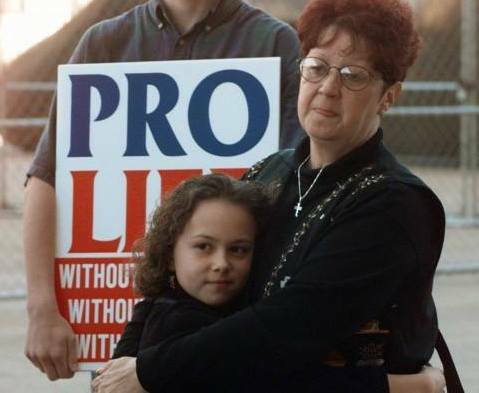 Emily’s kindness towards Norma and her innocence softened the abortion worker’s heart. Shortly afterwards, McCorvey accepted the offer of Emily and her mother to go to their church. She had a religious conversion, and finally accepted the truth that, on some level, she already knew: abortion hurts women and kills babies. [W]hen you work at an abortion clinic, you’re guilty and you know it. For all the millions spent on public relations, the abortion movement has yet to invent rhetoric powerful enough to blind abortion clinic workers from the truth. You see the body parts, you hear the women’s cries, and you can’t keep lying to yourself – at least not without artificial stimulation. Live Action News previously published an article on the macabre jokes abortion workers made to help themselves cope with the grisliness of their job. Norma McCorvey’s testimony before Congress in 1998 before the Subcommittee on the Constitution, Federalism, and Property Rights of the Senate Judiciary Committee, 105thCongress, 2nd Session (January 21, 1998).